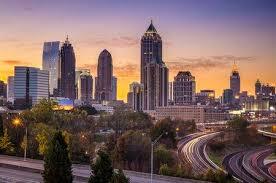 Join us and get a sneak peek into strategic initiatives and growth plans from some of Atlanta’s top corporations and discover the advantages Atlanta’s high tech popularity can bring to your business. Learn about some of the technologies that will fuel Atlanta’s continued ascent—and see where Atlanta’s tech ecosystem is headed in the future. Please note: there will be NO walk-up registration for this event. You must pre-register. Registration will close Thursday, January 31 at noon.